"Shop 33+ vendors with unique, handcrafted items, as well as traditional name brand vendors. 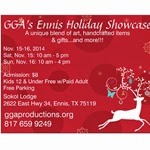 Home and holiday decor, wood, yarn art, wreaths, handmade, natural soaps, candles, jewelry and so much more!! Open to public, free! Lots of close parking! Bake Sale and Raffle items too! 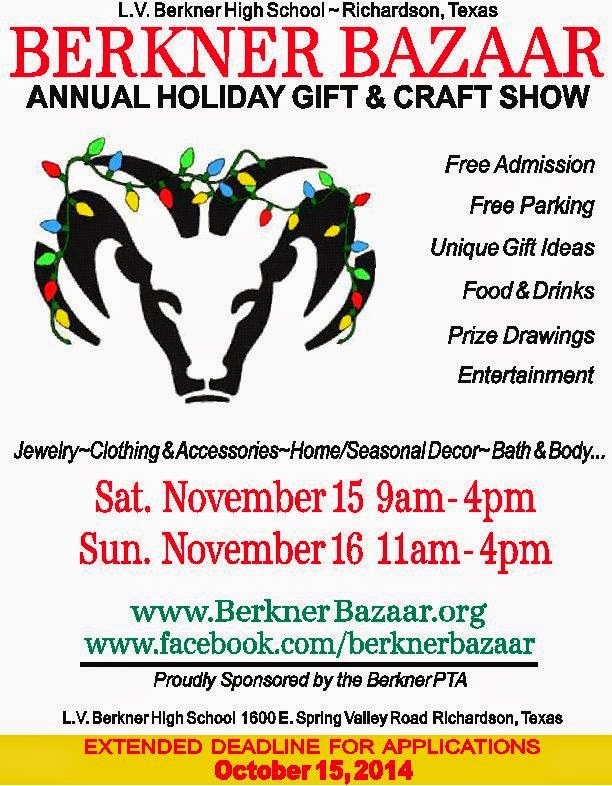 Proceeds help to support the Parker Volunteer Fire Department and the various other PWC projects!" "Shop Local! Shop Handmade! Shop Funky! The Funky Finds Holiday Shopping Experience is a FREE 2-day family AND pet-friendly handmade shopping event! Bring the family and be a part of the funky fun featuring over 120 Artists, Crafters, Designers, Authors & Food Makers selling their unique hand-crafted items! Attend Both Days...it's that FUNKY! The event will feature: Handmade Shopping Extravaganza, 150 Swag Bags & Charitable Raffle, Pet Adoptions by HSNT, Toys For Tots Drop Off, Photos with SANTA CLAUS, Funky Finds Balloons for All, and Event T-shirts for Charity & More!" No admission fee ~ donations accepted to support the FFA's Charity "Feeding America." 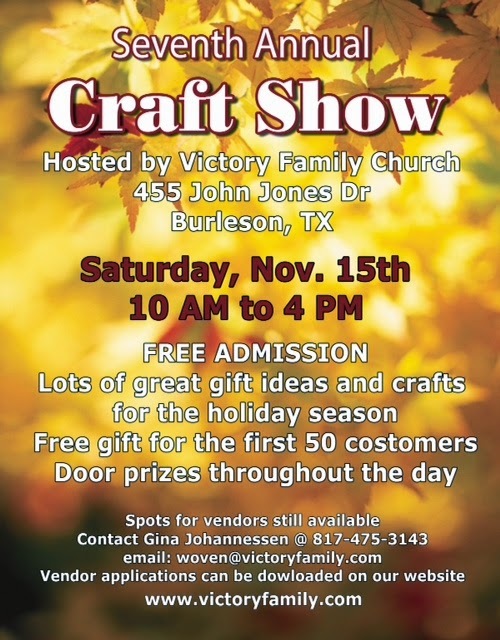 "Bishop Dunne Catholic School presents its First Annual Arts & Craft Fair on November 15, 2014 at the Bishop Dunne campus from 9:00 a.m. until 4:00 p.m. We will provide a wide variety of commercial and home-made arts and crafts. Come out to support the Bishop Dunne Falcons AND complete your all holiday shopping!" "Are you ready for a bigger, better Jingle Bash? This year we return to the South Side Event Center, located just south of the Dallas Convention Center on Lamar St. in Dallas, Texas. A world-class entertainment venue, the location has an eclectic charm and authentic atmosphere. Etsy Dallas' Jingle Bash, a premier handmade shopping event and party, will showcase the very best in handmade apparel, bags, jewelry, home décor, accessories, art, pottery and more! Hand-picked artists, crafters and designers from near and far will all gather at the Jingle Bash for pure shopping pleasure." 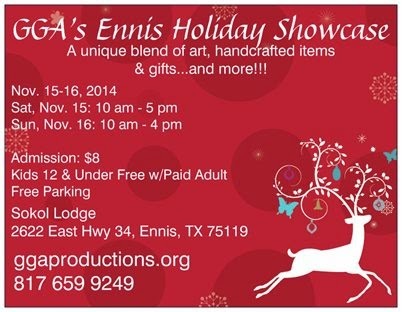 "MOM's of Murphy are having their 1st annual Craft Fair and Shopping Extravaganza. This is a fundraiser for our "Bless a Family". We will have vendors, crafters, and raffle items. " St. Marks United Methodist Church with LOTS OF VENDORS! Breakfast, Chili Cook=Off, Pie Contest. Bake Sale, jams, jellies, pickled okra, tomato relish, chow-chow. Lots of goodies. Holiday shoppers will find unique craft items and products marketed by local business owners." "Come great a head start on your holiday shopping!"